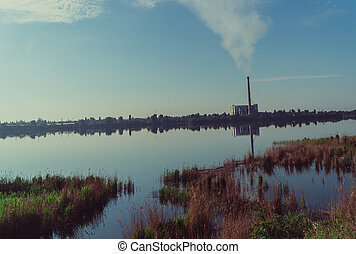 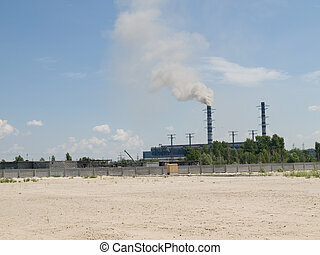 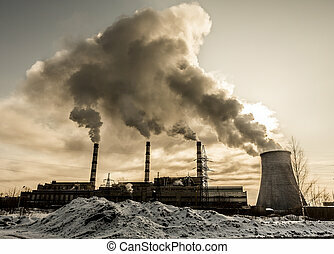 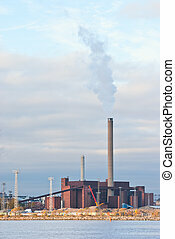 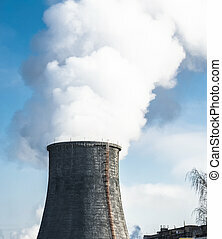 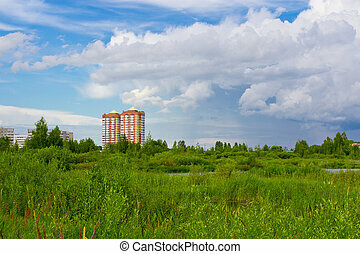 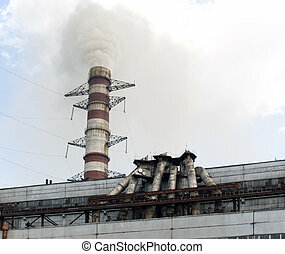 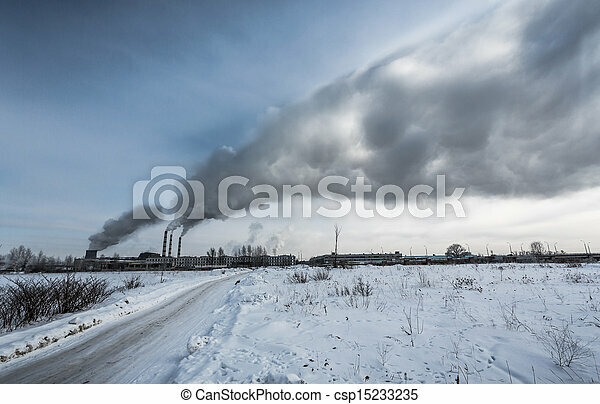 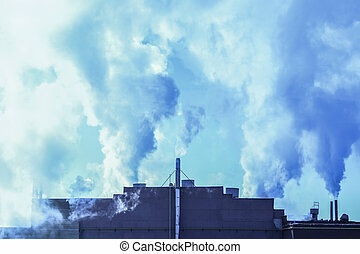 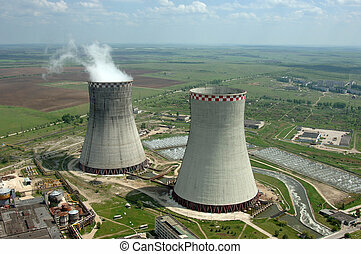 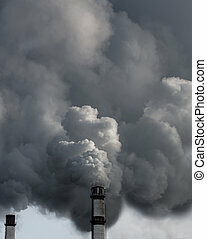 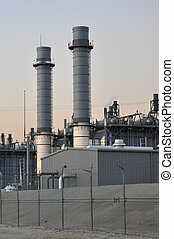 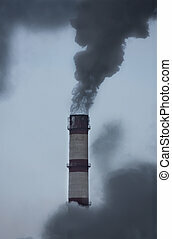 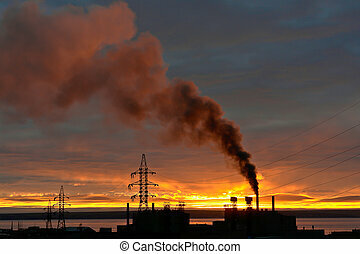 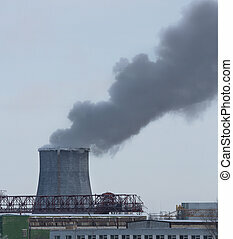 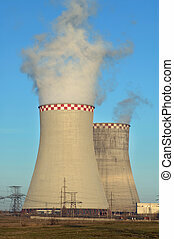 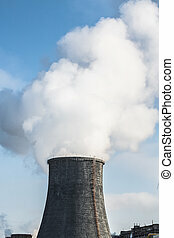 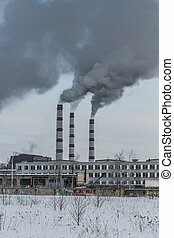 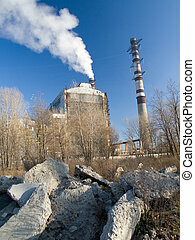 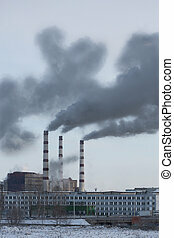 Power plant pollutes the environment, winter shot. 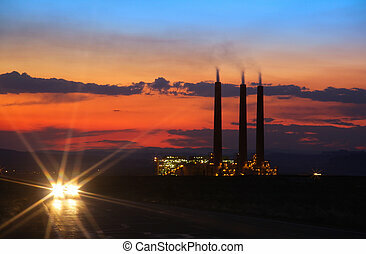 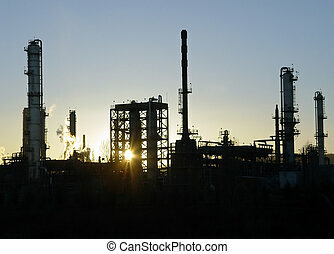 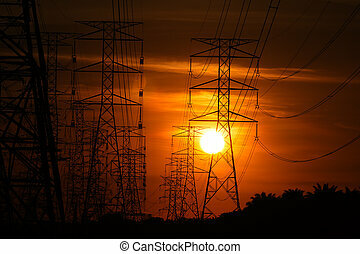 Power plant on the sunset. 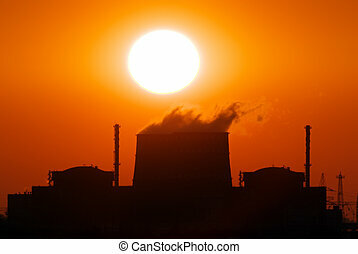 Sunset over the power plant. 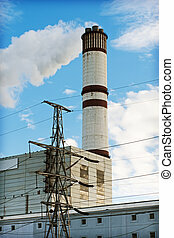 Smoke coming from the chimney power plant.